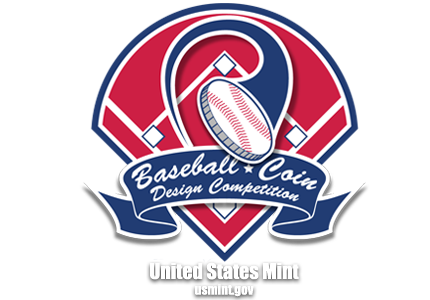 Essence of a Nation's Pastime | Baseball Coin Design Competition: Batter up! Pitch your coin design today. 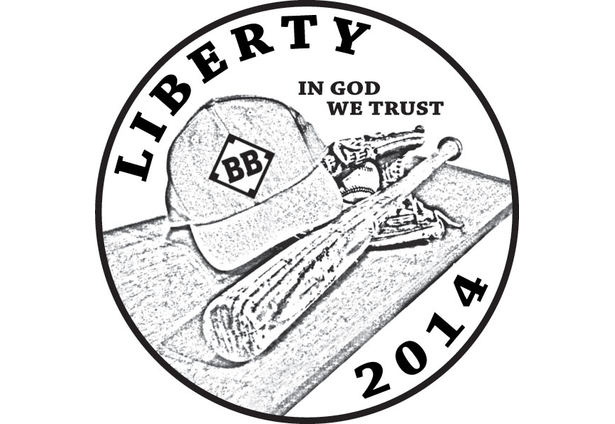 This coin features all that is the essence of baseball. In order to play the game, you need a bat, a ball, and a glove. Also included on the dugout bench is the baseball cap, which stands out as a piece of the uniform that is different from all other team sports. The insignia on the cap is a simple baseball diamond with the letters "BB" for baseball. Since the idea was for a coin to be "emblamatic of the game of baseball", not Major League Baseball, minor league, college, high school, Little League, etc., I felt it was important to create something that was not age or level specific, or even really gender specific since plenty of girls in the country grow up playing baseball too. Of course that does then severely limit possible options. Essentially that left me with only the "tools of the trade," those items you have to have in order to play baseball. But I also felt the cap is just as important of a visual element as the bat, ball, and glove and needed to be included. So I came up with the idea of putting all those items on a dugout bench, a scene that could be seen at any level of play. I'm hoping that rationale will connect with the hall of fame players as well as judges from the U.S. Mint and U.S. Treasury Department. I had briefly thought about incorporating a player, but the coin is too small to effectively have a hitter, pitcher, baserunner and fielder in the image. And using only one of those elements, I felt, would not effectively encapsulate the entire game of baseball.